People always want to learn what’s happening from someone they trust. 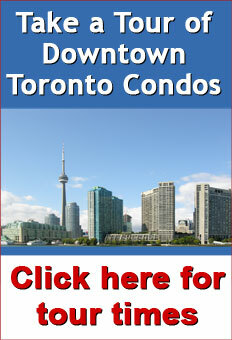 Be sure to ‘Like’ our Facebook page to keep up-to-date on what's happening in Toronto's market. However with purchasing a condominium, a third condition is almost always included which is a condition upon a satisfactory review of the condominium Status Certificate. 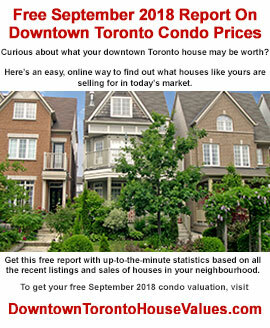 Semi and detached house prices have been bouncing around the last few months in Toronto with the changes in the market. 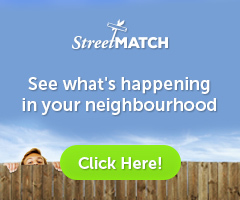 Some neighbourhoods are being affected greatly... others not so much. 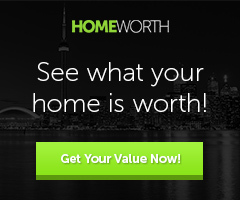 Would you like to be brought up-to-date with what your Toronto house is worth right now? 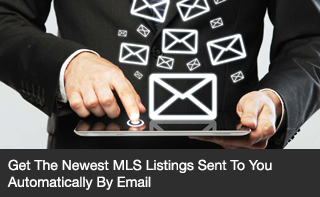 Know You Want To Sell But Dread All Those Showings? If you would like, I will include your condo in our "Silent Market" of condominiums that are not yet on the market. 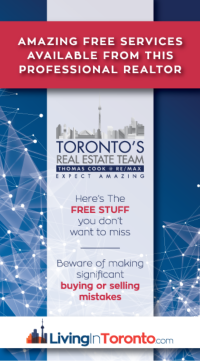 Because we generate so much buyer interest from our website, Facebook and Google advertising and other proactive marketing, we may be able to find a buyer for your condo without even putting it on the market… saving you both time and money. 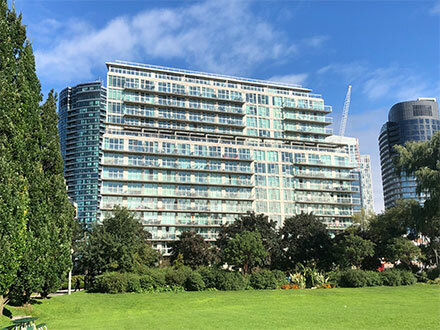 The hot days are almost over and Toronto’s real estate market is starting to come out of the ‘summer doldrums’ with more listings starting to appear. Although overall sales numbers are down, we’re in a bit of a sweet-spot with steady but not crazy sales and with sufficient listing inventory to satisfy demand but more than enough to prevent a mass recurrence of multiple-offers. Affordability and mortgage qualification requirements are definitely influencing our market. Both first-time and move-up buyers should be very clear on what the banks would be willing to lend to them ahead of time before committing to sign an offer. Being prudent could avoid getting bad news and being disappointed after the offer is signed. A prudent buyer might want to do some reading to familiarize them with how the market is working now. 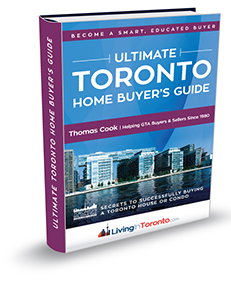 A good explanatory book might be the free ‘Ultimate Toronto Home Buyer’s Guide’ - you can download it or request that a paper-back copy be sent to you. 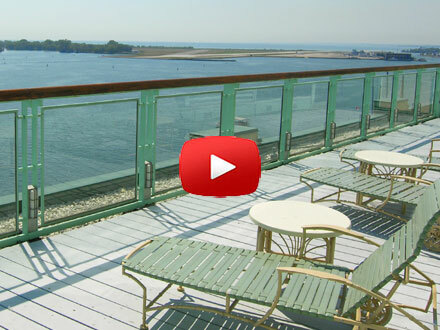 Would you like to know how much your condo or house has appreciated over the past few years? 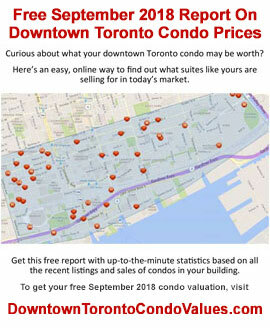 I can do a quick home price update for your Toronto condo at DowntownTorontoCondoValues.com or pricing for your Toronto house right here to give you a good idea. To keep current on market activity and analysis throughout each month go to Facebook and ‘Like’ my Toronto Real Estate Analysis page. Watch the video or read the AUGUST 2018 Market Report Analysis and please keep me in mind when any of your friends are talking about buying or selling real estate in Toronto. Sales were up 8.5% for August compared to last year with 6,839 houses and condominiums changing hands in all the districts. This was the 2nd lowest number of sales for the month since August 2012. 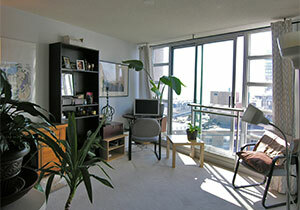 Condo townhouse and high-rise suites took a significant 37.1% share of the market with 2,540 units being sold. The August average sale price for all GTA homes came in at $765,270 – this was a modest 4.7% increase from one year ago. Considering that May/June/July 2017 was the turning point in last year’s crazy market, if instead you compare 2018 with August 2016 (with an average of $710,975), this year’s average was still up 7.6% in that 2-year period. The active listing inventory is one of the strongest indicators of how slow or fast the market has been moving. The inventory average for the month of August compared to historical numbers was up just 6% but increased by 8.8% from last year at this time. However, this is occurring selectively, with the ‘central core’ Toronto neighbourhoods still doing very well while the outer regions (Peel, York & Durham) are not seeing the same level of activity. In August that ratio finished at 38.3% - almost exactly the same as last year. The GTA is now into a very moderate seller market territory so sellers may need to adjust their expectations if they want to make a move. The days-on-market average for Toronto homes was 27 days, two days longer than in July. Watch the video to get the complete August 2018 Market Report details. Please keep us in mind throughout 2018 whenever you hear friends talk about real estate at any time... we're always here to advise, consult and help. 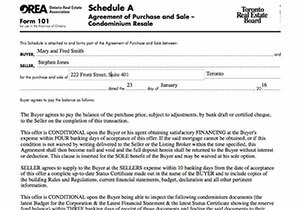 As a successful Toronto Realtor helping condo and house buyers and sellers since 1980, I've developed many programs and services to assist people with their real estate needs. 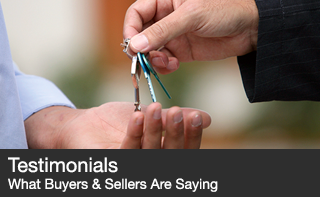 I've even written several soft-cover books and reports to help explain how buyers and sellers can make their best, informed decisions. There are important benefits and advantages to being well prepared for the upcoming real estate experience. You definitely want to avoid making significant buying or selling mistakes. Here's a list of my 'Free Stuff' that's available to you. 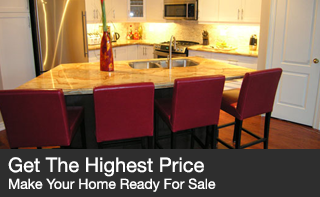 Become a smart, educated Toronto buyer or seller. Go ahead and download any of these books or reports at no charge.